Football is more than just practices and matches in the weekend, football is 24/7 all year long, and this is the mindset which Mizuno has used for the new Day & Night Pack. The Day & Night Pack is made with a blue colourway, that makes you ready to focus on football all day long. 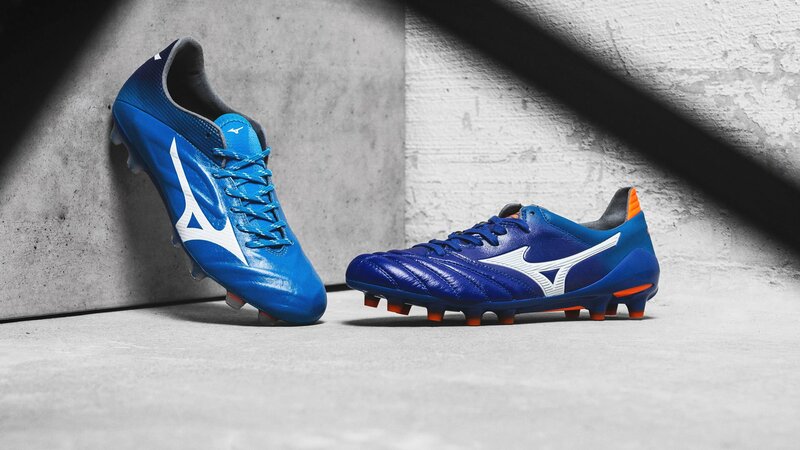 The Day & Night Pack gives the Mizuno football boots a new and blue colourway, which is inspired by the early sunrise and late sunset. The Mizuno Day & Night Pack is made for all the all-day footballers out there, that thinks about football all-day long, as there is no time to take a break from football. The Mizuno Rebula II is made with a light blue design, as it takes inspiration from the early hours of the day and the morning sunrise, where the blue sky kicks off the day. It gives the all-day footballers a great start to their day, as they lace up their Rebula II boots to start the grind. The Rebula II features a premium kangaroo leather, which is both light and flexible and this offers a sense of full control when you kick off your football day. The premium kangaroo leather is soft, flexible and thin, while also being durable, so you get an uncompromised level of touch. The CT Frame is integrated into the upper and this gives an excellent fit right from the first time you put them on. The outsole is made from nylon and TPU and this gives a stable and flexible outsole, while the studs offers a maximum level of grip on the pitch, letting you make quick turns and speedy acceleration on the pitch. The Mizuno Morelia Neo II features a darker blue colourway, which is inspired by the dark blue night sky in the late hours when the sunsets. Besides the dark blue upper, the Morelia Neo II also features orange details on the heel and studs, which complete the sunset design. The Mizuno Morelia II is all about that premium feel, as it comes with a kangaroo leather that is soft, smooth, thin and durable. The Morelia Neo II is designed to give you a light, flexible and bare feet feeling. The leather is made to move in all direction as it comes with a wave-pattern on the front foot allowing you to get a supreme touch on the ball. Furthermore, the Morelia Neo II also comes with a Wave Fit lacing system for a perfected lockdown, while minimising slippage inside the football boots. 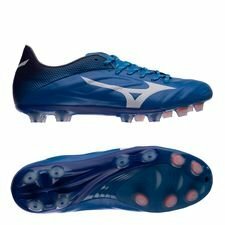 Have you ever wanted to try the Mizuno football boots, but have been afraid of how they fit, feel or are? Then we got something just for you! We teamed up with Mizuno to offer you a new concept that’s called Mizuno satisfaction guaranteed, which allows you to test out the Mizuno boots and send them back within a month for a full refund. 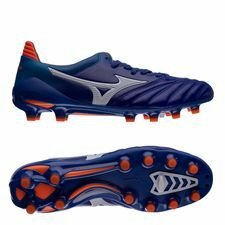 So, order your Mizuno football boots at Unisport, test them out in a casual roundabout, practice or in a match, and if they don’t fit or you don’t like them, then you just send them back. And that sounds pretty nice, so why not try out the new Mizuno Day & Night Pack!